After a near miss in the 200km Sunday race at Phillip Island, Holden Racing Team's Garth Tander is looking to go one better and finish the season on top at the Sydney NRMA 500. 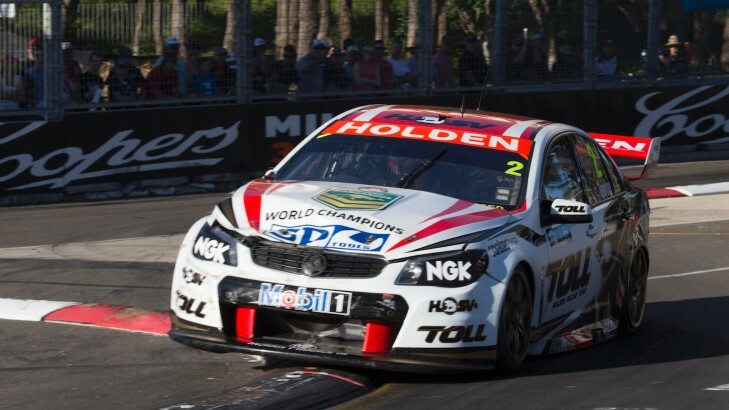 The HRT star - who won on the streets in Townsville this year and last - believes drivers will need to take extra care tackling the concrete-lined Homebush track just to make it to the finish line. 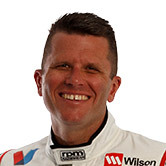 "Sydney is traditionally very hard on V8 Supercars," Tander said. "It's probably the one event of the year where you really need to look after your Commodore in the first part of the race to ensure you're in good stead come the run to the flag. "It's a tough track and event, physically and mechanically. "You need to ride the kerbs and bumps well. The circuit also grips up quite a bit over the weekend, so the setup of the HRT Commodore is always evolving." Tander took the inaugural pole and win for HRT in Homebush in 2009. "It's always nice when you go to a new track, to get the first pole and race win - which is something that can't be taken away from me," Tander said. "We haven't gone that well at that circuit since then, with a handful of podiums to show, so we want to rectify that stat next weekend." Given the tricky nature of the circuit, in 10 races there have been nine different winners, with Craig Lowndes the only repeat victor and HRT having only won that sole race. 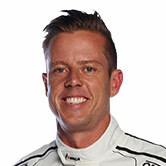 Tander's teammate James Courtney knows what it takes to win under pressure at Homebush's Sydney Olympic Park circuit, having also been victorious that year, with DJR, and collecting his Championship trophy there the following December. "Sydney's my hometown and, it's where all my family and friends are so I get a bit stronger when I'm back out west," Courtney said. "It's also where I won my championship back in 2010. That was an incredibly dramatic race - I only had to finish to win it, but that wasn't guaranteed in the conditions and damage we sustained. "The Sydney NRMA 500 is always action-packed, we're bouncing over the kerbs with concrete walls nearby so there's no room for error. We haven't got anything to lose, so I won't be holding back at all." Courtney was unable to contest the event last year after an accident at Phillip Island, with Nick Percat subbing in for the final event. Both Courtney and Tander sit inside the top 10 in the Championship, eighth and ninth respectively, and with just 30 points separating Courtney from fifth placed Scott McLaughlin, there is a lot to be gained over the weekend. Tickets are still available for the grand finale - click here for more information on the Sydney NRMA 500.